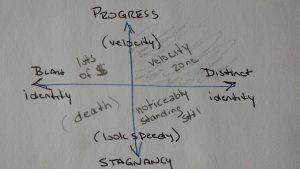 I recently was asked to help a Brazilian design & brand consulting company expanding their business into the United State after they read my thoughts on Velocity in business (in particular my thoughts on the Velocity Zone). It was a fascinating discussion in which I was, once again, reminded of the attitudinal differences between the United States and other countries. It led to Velo. It’s a Portuguese spin on Velocity. We made up this word because, to us, its meaning is new. Velo is velocity with a Brazilian twist. Let’s call it the Portuguese version of Velocity. We arrived at the term because we believe America business view is tainted by the concept of abundance – an abundance of opportunities, resources & money. It doesn’t mean all businesses actual have an abundance of money & resources just that in the back of their minds they believe America is abundant therefore attitudinally they don’t approach things through a scarcity lens. This affects decision making, strategic approaches, brand positioning and messaging, design , messaging and even budget allocation. In an abundant world options are limitless, in other words, miss an opportunity and another will arise. Let’s call this a “limitless supply of water” attitude. Water is abundant so when presented with a glass of it unless I’m desperately thirsty it’s just a glass of water. In a scarcity world a glass of water can mean life or death. Now. 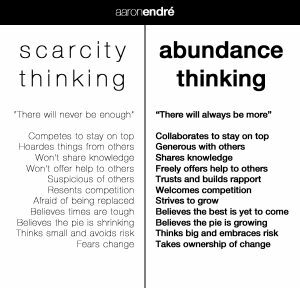 In America we talk scarcity, but think abundance. This ‘abundance of options’ attitude affects not only our general attitude but also behavioral decisions – business decisions. We sift thru options with a slight lack of urgency. In Brazil one cannot simply talk scarcity but act upon it to insure you get your glass of water. Options are limited and you maximize the ones you do have. We think of velocity in the same terms. Velocity is a scarce resource and demands a versatile view of communications, design, branding combined with a bold view on crafting a distinctive idea & brand. Velocity falters under an abundance attitude and can quickly become just speed – hamsters on a wheel in an abundant world. Velocity thrives within a scarcity attitude by assembling minimal viable teams with minimal viable products utilizing minimal viable assets & resources applying communications principles & thinking to maximize opportunities as scarce moments in time. That’s a mouthful but suffice it to say Velocity thrives in a minimalist view. Comunicação is a little different than America communication. It’s a little bit bolder and distinct (remember, resources, including time & money are viewed as scarce therefore need to be maximized). The design has more vividness. The strategy is a little more bold. The branding is more distinct. The communications have a little more edge. Generally speaking the ideas are treated as a scarce resource not to be wasted with ‘safe’ thinking & doing, but rather vivid thinking that demands people pay attention. Criatividade is a little different than American creativity. In a scarcity world everyone is expected to be creative (remember, resources are scare therefore need to be maximized) therefore creativity comes to life from unexpected places in unexpected ways. There are no thinkers and doers in a scarcity Criatividade world, just doers who think & thinkers who do – all the time. Creativity is only abundant if you maximize the scarce resources at hand. In an abundant world options seem limitless and discussion can actually be infinite all of which just ends with a less creative ‘safer’ solution. In a scarcity driven world options are treated as limited so discussion is finite with bolder, more vivid, creative solutions. The essence of Velo is enabling value transactions to happen as effectively and efficiently as possible. By treating the world thru a scarcity lens we maximize time, resources, minds & skills to generate brand velocity.